Small group expeditions into Western Australia’s remote Kimberley region with award-winning tour guide and author, Scotty Connell. G’day, I’m Scotty. First of all, thanks for visiting Kimberley Spirit Tours. We’re based in the Eastern Kimberley and we appreciate you supporting our local small business. Scroll through this website for sample itineraries, prices and general information about the Kimberley. All tours are accommodated (unless otherwise stated) and our Landcruiser takes small groups - couples, friends, families or even single travellers. We also have a larger Isuzu truck for charter groups. I hope to see you soon in the Kimberley! Ex Broome or Kununurra *Most popular tour*. Discover the dramatic landscapes of the Kimberley on our signature tour. Highlights include the Gibb River Road, Purnululu (Bungle Bungles) and El Questro. Broome-Kununurra or reverse: A one-way journey along the iconic Gibb River Road, encompassing a range of Kimberley icons including Geikie Gorge, Tunnel Creek, Bell Gorge, Home Valley Station and El Questro. Kununurra: The best of the Eastern Kimberley - El Questro wilderness park, Home Valley, Wyndham, the Bungle Bungles, Lake Argyle, the Ord River and more all in one tour! Kununurra: Learn the stories behind the ancient Bradshaw figures (Gwion Gwion) on this unique rock art tour of the Kimberley. Swim in remote waterholes and visit sites such as the Mitchell Falls. Note: You can read an article about this trip - see ‘Australian Women’s Weekly’ article, click here. Kununurra: Explore the magnificent Cockburn Range or Carr Boyd Ranges on foot with your local guide. Min. 2 people required. Kununurra Join us for a day tour of the Eastern Kimberley. Explore Kununurra on a 3 hour tour or swim in the crystalline waters of El Questro on a day tour with an option to overnight. 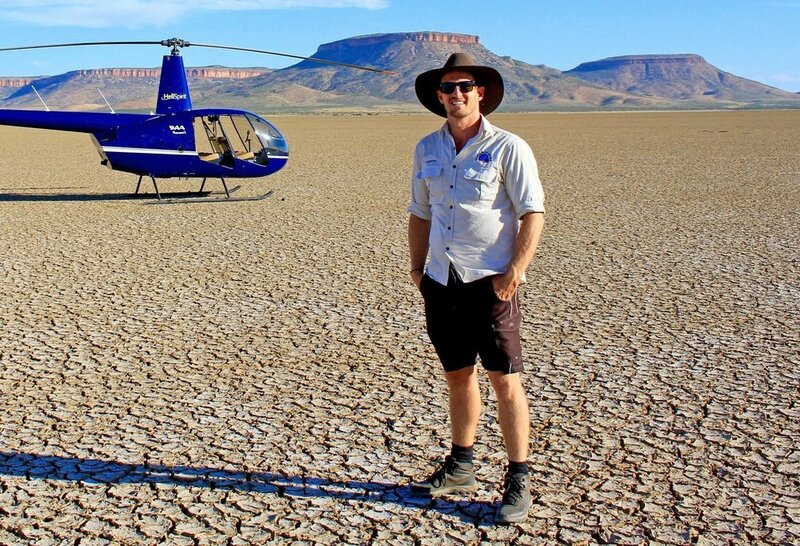 Kununurra: Explore the Eastern Kimberley via chopper with your guide. Waterfalls, fishing, Bradshaw art. Get to places you can't normally reach by road! Available during the Wet Season too, when road access isn't possible. Broome or Kununurra: Cruise the breathtaking Kimberley coastline and then travel the rugged interior by 4x4.